Hey Matt! thanks for sharing this. 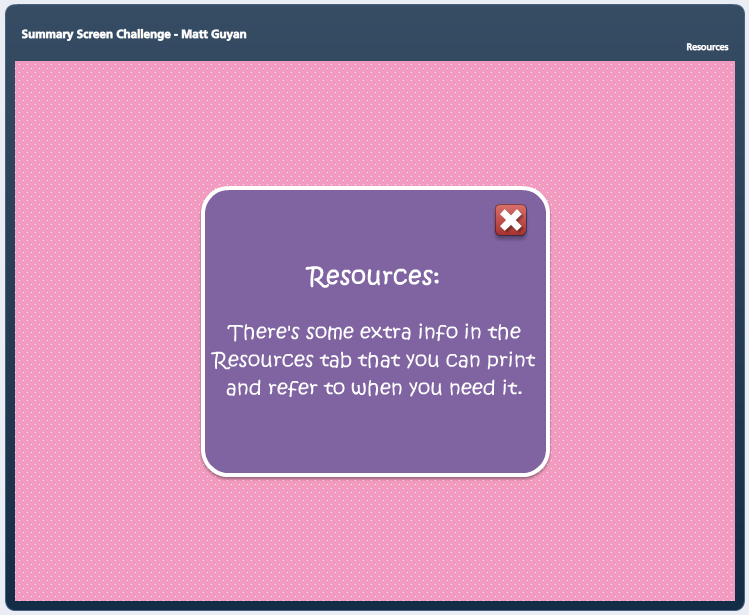 Really like the idea of weekly challenges, it reminds me of DS106 daily creates, which I did erratically for a while (but haven’t for ages…). 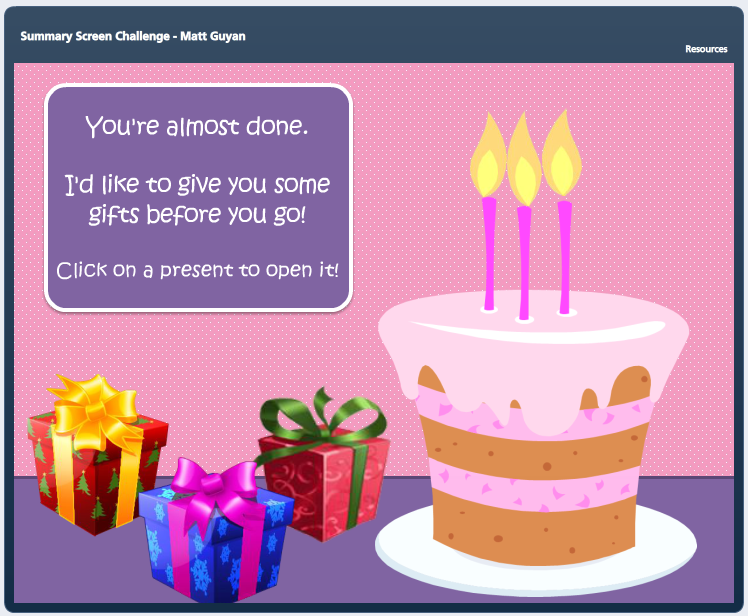 Doing a regular challenge is definitely a good way to practise thinking creatively, as well as practising skills; and doing it as part of a community, provides support – as well as triggering new ideas. Narrating the creative and ideation process is equally – possibly even more – valuable too. It was interesting looking through the examples posted. This particular challenge also made me wonder about the possibility of not so much focusing on the ‘end’ of the course, but pitching it as the beginning of the next phase of learning and applying learning, which is what drawing attention to resources and job aids does. Thanks for your comments. I remember when you were doing those DS106 creates and you produced some cool stuff. You’re right about doing these types of activities, it’s like a three-part process – participate in a challenge/create, share with others in a community and reflect through narration. I’m finding it to be a powerful way to learn. Thinking of the end of the course as the beginning of the next phase of learning is a great idea and that’s exactly the type of thing that I’m finding by narrating and sharing – you get different ideas and approaches – which in turn helps to expand your own thinking and creativity (well it does for me anyway). 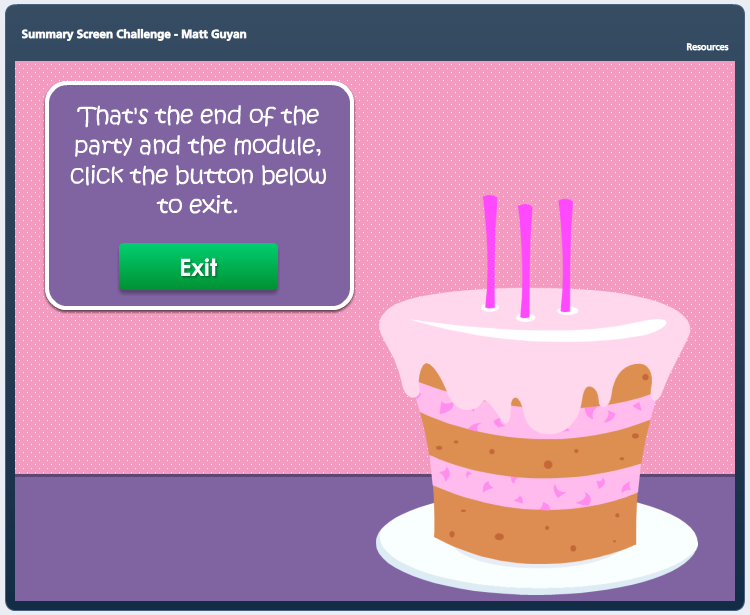 The finishing line in Moodle courses has been my long-standing criticisms of eLearning (my own included) . Xbox games offer crowd cheering, fireworks etc at each milestone and at the end of the journey. Our e-learning courses often delay the ‘graduation’ to months after the work as been completed with a blue printed certificate arriving by post to say you have completed a ‘qualification’ (what ever that means). 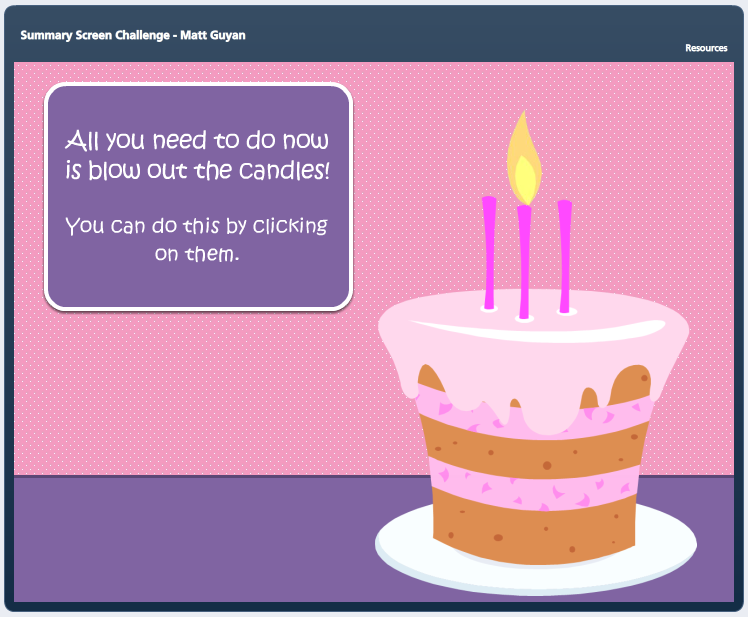 The certificate module and Openbadges in Moodle are giving us opportunities to celebrate successes, but your candle blowing concept feels more like an Xbox game. The interaction you have created offers the chance for reflection and celebration. Simply brilliant! @tanyalau I am a Captivate person too.. lets start a similar thread on the Adobe Community Forums. I downloaded an Adobe Captivate Progress Bar template I have been playing around with. Thanks for the comments Nat. The challenge helped me to look at the end of the course differently and I think for the better.